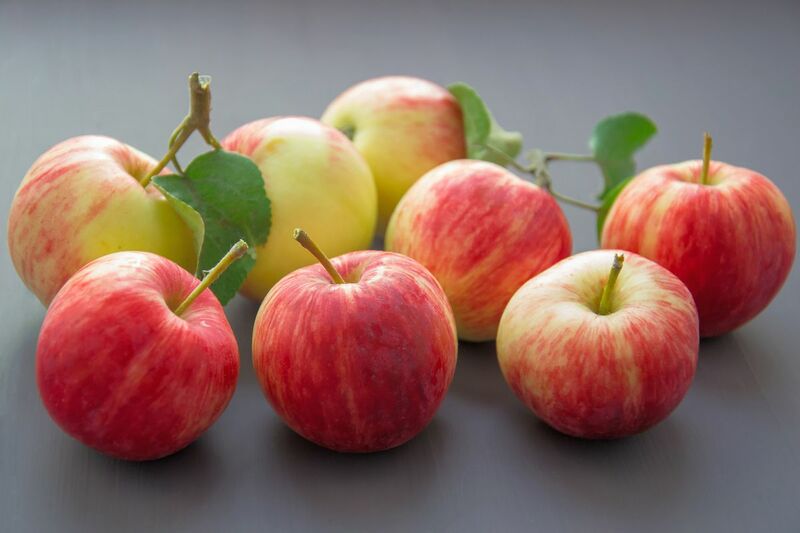 Most cultivated and consumed fruits in the world, Apples are continuously being praised as a best fruit, not only this it is available whole year in all Grocery Stores. Apples are one of the most popular fruits. Apples are a good source of fiber and vitamin C.
Every week I bring apples with other fruits and give one apple to each family member for Work include Healthy Lunch and some other fruits. Reduce cholesterol– Diet high in fiber can help prevent the development of certain diseases and may help prevent the amount of bad cholesterol in your blood from rising. Healthier & Whiter Bright Teeth: Apples won’t replace your Toothbrush, but biting and chewing an apple stimulates the production of saliva in your mouth, reducing tooth decay by lowering the levels of bacteria. Prevent gallstones: Some people use apple juice to treat gallstones. That’s because they believe apple juice may soften gallstones and can help you pass the stones. To prevent gallstones, doctors recommend a diet high in fiber; such as Apples. Apples Protect Against Asthma: Apples contain antioxidant and anti-inflammatory compounds that may help regulate immune responses and protect against asthma. Apples are not just Crunchy and tasty, but also have so many benefits if we eat them regularly. These ladus are so tasty and really easy to make them at home quickly. When your Kids want to eat something sweet or you have guests in your home, then the best idea to make something tasty, healthy and quick is the Apple ladus. To make them, you don’t need Expensive ingredients, but we all have Apples in our home and that’s the main ingredient in this Recipe. Rest you need some dry fruits according to your own taste, Milk and Sugar.